Want to keep up on The Green Miles in 2012? Follow me on Google Reader, Twitter, Google+ and Facebook. November 2011, 12th-hottest on record & 321st consecutive month our planet's temperatures were above the 20th-century average. January-November 2011, 11th-hottest on record. And if that doesn't sound hot, keep in mind how much the last decade - the hottest decade humans have ever recorded - has skewed the record books. Until 1995, there had never been a year recorded more than 0.4 degrees Celsius above average. Now 2011's 0.52°C above average ... and it only ranks 11th. My morning commute involves walking 15 minutes to East Falls Church Metro. This usually earns me pitying looks. "Ugh, isn't that far?" Then the person drives to the gym to pay to use a fossil fuel-powered treadmill. My commute guarantees me 30 minutes of walking a day. In my age group, if there's no an annual fee or specially designed clothing, it's not officially considered exercise. To me, that daily walk isn't a bug, it's a feature. Back when I drove to work, man, there were days I barely walked at all. Straight from home to car to office to car to evening event to home, and I was more exhausted when I got home than I am now that I walk or Metro almost everywhere. The Washington Post's Darryl Fears, who conspicuously left climate change out of his recent article on the impacts of sea level rise on the Virginia coast, today has a follow-up article on how some people don't think climate change is connected to sea level rise. Gee, I wonder why people are so in the dark about climate science? It's quite the puzzler. I'm not usually a big basher of Big Food or Big Ag, but for some reason this drove me crazy. Blueberries were on sale at Harris Teeter recently, so I was looking for some pancake mix to make blueberry pancakes - an excuse to have fresh blueberries AND feed my crippling maple addiction. 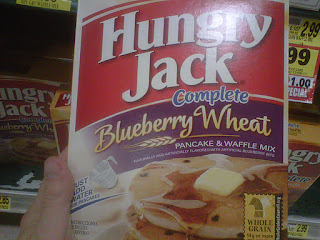 I almost bought this Hungry Jack "Blueberry" Wheat pancake mix, thinking between its blueberries & the fresh ones, I'd have some pretty good pancakes. But then I looked closely at the box and in tiny letters it said "artificial blueberry bits." Number one ingredient: Dextrose, a sugar. Where's the line between obviously fake and trying to pass something off as real? It's a hard one to figure. I mean, no one expects Cap'n Crunch's Crunch Berries to have actual berries (they have a trivial amount of strawberry juice concentrate and are an incredible 42% sugar according to the Environmental Working Group's Sugar in Children's Cereals report). But you certainly expect potatoes in Hungry Jack Mashed Potato Mix, don't you? It's stuff like "artificial blueberry bits" that makes me feel like every step through the grocery store, I have to watch out for corporate food trying to put one over on me - fake food, cheap fillers, surprise chemical additives. And I'm not even a parent. 2. 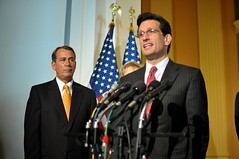 Rep. Eric Cantor, R-Va. The House Majority Leader released a memo in late August listing the top 10 "job-destroying regulations" his party would battle in the remainder of the congressional session. Seven were environmental rules opposed by the fossil fuel industry, including restrictions on emissions from industrial boilers and cement plants, and proposed rulemaking on smog, farm soot and greenhouse gases. None of these rules really threaten jobs, but failing to approve them would certainly threaten lives. Rep. Henry Waxman (D-CA) has rightly called this year's group, led by House Speaker John Boehner (R-OH) & Rep. Cantor, "the most anti-environment House in the history of Congress." A new report from Rep. Waxman, Rep. Ed Markey (D-MA) & Rep. Howard Berman (R-CA) details 191 House GOP votes targeting our air, water, wildlife & public health - an average of more than one anti-conservation bill per day the House has been in session. And the number of job creation bills? Oh, right. I made the nominees for Favorite Activist in the Washington Post's DC Top Tweeps 2011, vote for me on question #11! Will GOP Demand Drug Tests for Coal and Oil Subsidies? 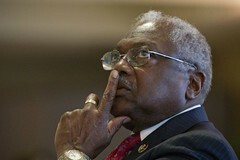 South Carolina Rep. Jim Clyburn, a member of House Democratic leadership, told POLITICO he rejects a host of the top Republican offsets, illustrating the tricky path Democrats must travel when negotiating with the GOP. Will the GOP be demanding the CEO of Exxon Mobil be drug tested before Big Oil gets the billions of dollars in subsidies that the GOP supports? What about for nuclear power industry executives and the billions in subsidies House Speaker John Boehner (R-OH) has asked for? How about here in Virginia, where tens of millions of dollars in subsidies for mining & burning coal are handed out each year - will Gov. Bob McDonnell & Attorney General Ken Cuccinelli be forcing Dominion Virginia Power CEO Tom Farrell to fill a Dixie cup to prove he's clean? Of course not. Republicans only want to bully the least powerful & most vulnerable among us in the 99%. The 1% can keep collecting their huge taxpayer subsidies, no questions asked. 25 percent of the plastic in the external housing of the Motorola P793 Back-Up Battery Charger is made from recycled post-consumer water-cooler bottles. The Back-up Battery Charger shuts itself off automatically once fully charged, reducing wasted energy. 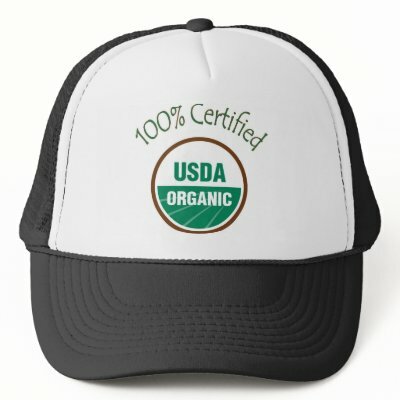 First product certified CarbonFree® by CarbonFund.org that is being sold by AT&T. Sufficient carbon offsets were purchased to offset the carbon emissions demonstrated by a lifecycle analysis to be required for the manufacturing, transport, use and end-of-life phases of the device. Recently, AT&T announced plans to introduce new plastic in AT&T-branded accessory packaging, which is comprised of up to 30 percent plant-based materials sourced from ethanol harvested from natural sugarcane. Check out more on AT&T's environmental sustainability efforts. 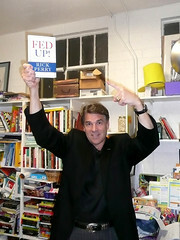 Perry on "Solynda": Is It a Gaffe in a Party Where Ignorance is a Virtue? For the record, Solyndra was a company, not a country, and its bankruptcy was a small fraction of a broadly successful program to incentivize solar power. After Republicans suffered a series of defeats in the 2011 elections, the media tried to frame the results as a rejection of the GOP "overreaching" by passing extremist policies. But as Karl Frisch pointed out, "Republicans did not overreach. What they did is who they are. It is what they stand for. It is what they campaign on." Republicans have spent years devaluing intelligence & thoughtfulness. Republican voters keep picking candidates on the "incompetent & incapable" or "genuinely stupid" end of Bob Cesca's spectrum of ignorance like Sharron Angle & Christine O'Donnell over "genuinely smart but wrong" folks like Mike Castle & Sue Lowden. And Rick Perry seems to be not just ignorant but unserious, repeatedly making mistakes that show he's not even bothering to put in the time to try to get it right. If Republican primary voters don't punish candidates for ignorance & mistakes, can Rick Perry's errors really be considered "gaffes"? 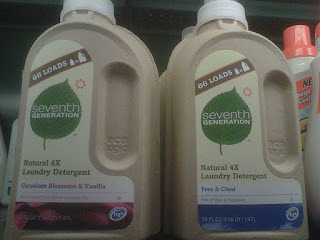 Seventh Generation, the nation's leading brand of non-toxic household and personal care products, introduces a cutting-edge advancement in the art of sustainable product packaging -- a new liquid laundry detergent bottle made from 100 percent recycled cardboard and newspaper. Seventh Generation's Natural 4X Laundry Detergent bottle, designed with its partners at Ecologic Brands, is unlike any other packaging currently found in the laundry aisle -- or any other aisle, for that matter. It features a rugged, fully-recyclable and even compostable outer shell made from 70 percent recycled cardboard fibers and 30 percent old newspaper fibers that supports a recyclable lightweight plastic pouch inside. By using 66 percent less plastic than typical 100 ounce 2X detergent bottles, the new container allows consumers to conserve effortlessly. When it's empty, the outer cardboard & paper shell, #4 plastic pouch and the #5 cap can all be recycled. Makes you wonder why the pouches in boxed wine aren't recyclable like the boxes themselves. It's a good reminder that recycling in your home is just one half of the equation. It's just as important to buy products made from recycled material to demonstrate there's a market for recycled material. And at the same time, products made from recycled material keep waste out of landfills, save energy, and reduce pollution. Ginni Thomas, wife of Supreme Court Justice Clarence Thomas, does weekly video conversations with some of the most extreme voices in conservative politics for the website The Daily Caller. I wouldn't even describe her guests as Republicans - most are from the extreme conservative fringe, well outside the party mainstream. And they're not interviews - the website describes them as "sit downs" and Thomas doesn't hide her full political support ("What can people do who believe in what you are saying?"). One of Thomas' most recent fawning videos was with infamous science denier Lord Christopher Monckton. Revealingly, Monckton doesn't just deny climate science - he denies President Obama was born in the United States. Monckton has also called American climate activists "Hitler Youth." He had to be admonished to stop falsely claiming to be a member of Britain's House of Lords. And if all that wasn't enough, Monckton believes people with HIV should be quarantined. It's telling how Thomas introduces the session. "The left despises Lord Christopher Monckton," she writes. No need to start with scientific credentials or the public good - right to bare-knuckled politics. While Thomas is clearly trying to ingratiate Monckton with her audience that despises the left, the statement simply isn't true. I love Lord Monckton! He's my favorite climate science denier! What better face of the movement of wealthy polluters trying to protect their reign over our land, air & water than this upper-class twit? But Thomas's ridiculous source for climate propaganda comes into more serious question when you consider that Justice Thomas and Justice Samuel Alito are the final two holdouts on the Supreme Court still refusing to accept climate science or carbon regulations under the Clean Air Act. This puts Justice Thomas to the far right, beyond even Chief Justice John Roberts and Justice Antonin Scalia. If Lord Monckton's considered a credible climate voice, it's no wonder the Thomases are so misinformed. Can you imagine what Glenn Beck would've done to the Thomases if they were liberal? He'd have needed a second chalkboard to diagram all that. Above and beyond climate change, I was blown away Thomas asking Lord Monckton, "How are today’s politicians transferring real legislative power away from the consent of the governed as laid out by our founders?" If the Founding Fathers heard someone asking a hereditarily-titled British aristocrat for advice on how to run America's government, they'd urge that person to take the next loyalist boat back to George III's kingdom. As the Virginia General Assembly considers a mining company's request to lift the state's longtime moratorium on digging up radioactive uranium, a new study is making some big claims about economic impacts. But considering the commission that requested the study, should we be surprised the study puts questionable jobs claims first and buries ominous warnings further down? The report was produced by Chmura Economics & Analytics for the Virginia Coal & Energy Commission. As Bacon's Rebellion blogger Peter Galuszka first pointed out, Gov. Bob McDonnell (R-VA) is so terrified of the possibility of any dissent on the Coal & Energy Commission, he didn't appoint a single representative from conservation groups or from activist groups in Virginia's Southside, where the proposed uranium mining would take place. Up next is a National Academy of Sciences recap of existing science surrounding uranium mining. Among the questions still unanswered: What do we know about the risk to drinking water in case of a natural disaster? Would already-underfunded Virginia agencies be able to sufficiently protect the public? What do we know about the quality of the uranium and how that could affect demand for it in an uncertain market? Learn more about why eliminating the uranium mining moratorium would be such a bad deal for Virginia at KeepTheBan.org. Jon Huntsman attended a packed blogger sit down at the Heritage Foundation in Washington, D.C. on Tuesday. 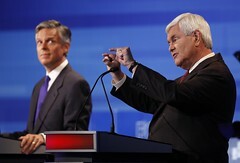 TPM’s Evan McMorris-Santoro attended, pressing the GOP presidential candidate about his position on climate change. In August, Huntsman acknowledged the broad body of science pointing to climate change. Seated at an elite conservative think tank, however, Huntsman played a different tune, saying climate scientists “owe us more” information before we can decide if climate change is real. “I think there’s probably more debate to be played out within the scientific community,” he said. Obviously, it can't be considered a good thing when the leaders of a major political party are required to reject mainstream science. But then again, it wasn't exactly helping the scientific cause to have Huntsman be the only GOP candidate in the field to fully accept climate science ... while polling at 1%. And it was crazy to see reporters overlooking Huntsman's extremist plan to raise taxes on seniors, veterans & the poor to fund huge tax cuts for the 1%, calling him "moderate" solely based on his support for science. What IS heartening is that the Republican field's climate science denial may actually be turning some voters into climate science believers. A Reuters/Ipsos poll showed the public’s awareness of climate threats up in recent months. Meanwhile, majorities of Republican voters continue to say the world’s temperature is going up, and that it’s partly or mostly due to human activities. And a new Pew poll shows the GOP primary race hurting the party among independents, with 29% taking a dimmer view of the party, compared to just 10% with a more favorable view (the unmoved 61% is probably a testament to just how few voters are paying attention yet). So do I wish Huntsman had stuck to climate reality? Sure. But Huntsman's abandonment of the truth says a lot more about his own desperation to get in lockstep with an out-of-touch GOP field than it does about climate science. It's simple: If there is to be any hope of avoiding civilization-threatening climate disruption, the U.S. and other nations must act immediately and aggressively on an unprecedented scale. That means moving to emergency footing. War footing. "Hitler is on the march and our survival is at stake" footing. That simply won't be possible unless a critical mass of people are on board. It's not the kind of thing you can sneak in incrementally. It is unpleasant to talk like this. People don't want to hear it. They don't want to believe it. 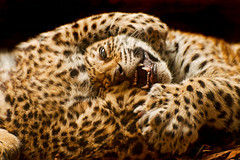 They bring to bear an enormous range of psychological and behavioral defense mechanisms to avoid it. It sounds "extreme" and our instinctive heuristics conflate "extreme" with "wrong." People display the same kind of avoidance when they find out that they or a loved one are seriously ill. But no doctor would counsel withholding a diagnosis from a patient because it might upset them. If we're in this much trouble, surely we must begin by telling the truth about it. Also today, The Onion looks back at what a science-based response to the climate crisis might have looked like. The blog is written anonymously, calls itself unofficial, and isn't hosted on a government or party site. Given how sloppily written the blog is and how it presents House Republicans as little more than industry sock puppets, I'm not surprised there's no name on it. Unfortunately that makes it impossible to know who wrote it, what they were thinking, or who made the frantic phone call to for god's sake take down that post before anyone sees it. But isn't that symbolic of the whole effort? 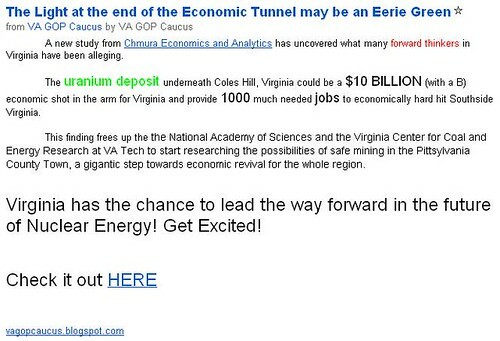 Virginia Uranium is pouring hundreds of thousands of dollars into political donations and lobbying hoping to jam through a repeal of Virginia's sensible uranium mining ban before anyone notices its wild inflation of economic impacts or how similar fool's gold like oil and gas fracking has brought unhappiness to towns from North Dakota to Pennsylvania. 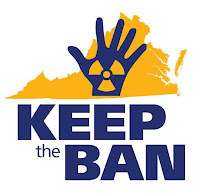 Learn more about why lifting Virginia's ban uranium mining would be such a bad deal for Virginians from Keep the Ban and ProgressVA. A New Orleans artist has created an interesting way to let both owners of derelict properties and city officials know the space could be greater. Candy Chang has printed (easily-removed) stickers that read "I Wish This Was" with space for residents to fill in what they'd like to see in their neighborhood. The responses are revealing - everything from the practical ("a grocery") to the truly wishful ("Brad Pitt's house"). I Wish This Was began in New Orleans in November 2010. It was inspired by vacant storefronts. There are a lot of them where Candy lives in New Orleans. There are also a lot of people who need things, including a full-service grocery store. What if we could easily voice what we want, where we want it? How can we influence the businesses and services in our neighborhoods? 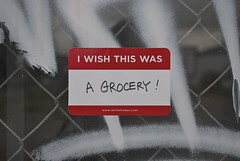 Combining street art and urban planning, Candy created fill-in-the-blank stickers that say "I wish this was ____." 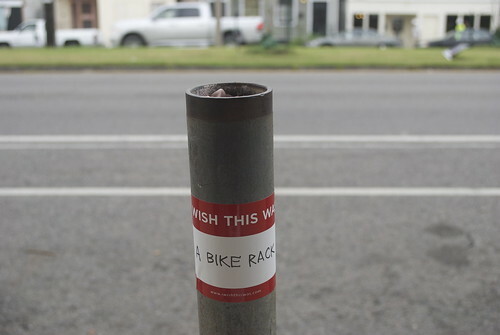 With support from the Ethnographic Terminalia exhibit, she placed boxes of free stickers in businesses around the city and posted grids of blank stickers and a permanent marker on vacant storefronts to invite passersby to write their thoughts. The stickers are vinyl and they can be easily removed without damaging property. Responses ranged from the functional to the poetic: I wish this was… a butcher shop, a community garden, a bike rack, an affordable farmer's market, a Chinese restaurant, a place to sit and talk, Brad Pitt's house, real soul food, a dancing school, full of nymphomaniacs with PhDs, Heaven. It's a fun, low-barrier tool to provide civic input onsite, and the responses reflect the hopes, dreams, and colorful imaginations of different neighborhoods. You can learn more (and buy the stickers) at IWishThisWas.com. Are there any places in your neighborhood you'd stick these up? What do you wish it was? Sadly, my spontaneous backyard corn never rose above three feet or so. As my friend Andrea first pointed out, does this mean I get to cash in my federal crop insurance? It was 73 on [November 14], just four shy of the record high and is still mild today but changes are on the way which is what November is all about. November typically features wide temperature fluctuations in the Metro Area. Temperature swings of highs 10 degrees above average one day can be followed by days with high temperatures 10 degrees below average all in the same week. Although rare, it has snowed in November in the Metro Area (we were reminded it can snow in October as well) while November has also seen temperatures in the mid 70s. There have been instances of both extremes that Washingtonians have experienced on this date in the not too distant past. To use a local example, this would be like writing an article about the recent history development in Arlington's Rosslyn-Ballston corridor and saying, "Some buildings are short while others are tall." While that's true, it also would be completely ignoring the easily perceived upward trend. *Reflects adjusted data to account for later occurring Thanksgiving prior to 1939. Yes, there will always be day-to-day weather fluctuations, but over the long term, the trend is pointing up thanks to man-made carbon pollution. Even the cool-down that began yesterday only brought our temperatures down to what should be normal. It's not controversial - it's climate science. The only thing hard to figure out is why Topper Shutt won't give the whole story about how global warming is impacting DC's weather. Wake Up World has a rundown of 7 foods worth spending a little extra on to get the most nutrition and avoid unwanted extras like pesticides, weed killers and artificial hormones. It's a good one to bookmark for future reference, along with the New York Times' 5 "strategic" organic foods. Two foods on both lists: Milk and potatoes. Why buy coffee grown with pesticides, herbicides, and chemical fertilizers when you can get organic, fair trade, shade-grown, carbon offset coffee for less money? I was driving home from Thanksgiving when I stopped at a service area off I-95 in Maryland for coffee. Starbucks gives you a free cup of drip coffee with the purchase of a pound of coffee beans & I was nearly out of coffee at home, so I grabbed a bag of Christmas Blend without looking at the price. As the cashier handed my reusable mug back over the counter, I gulped at the price - $16 (with the suggested retail price of $15 covered by a $16 price tag - I guess the service area gouge). When I got home, I figured it was past time for me to restock my cabinet with coffee from Grounds for Change. Turns out their Holiday Blend is only $13.95 a pound. Yes, shipping is extra, but if you order 5 pounds, including shipping it's just $12.78 a pound. Not only does Grounds for Change work to reduce or offset its impact at each step of the coffee growing and production process, it's extremely delicious. While I haven't tried the Holiday yet, I know their Sumatra has a great taste without being over-roasted like Starbucks, which can be “burnt and bitter enough to make your eyes water instead of open" as Consumer Reports memorably put it. 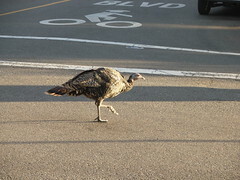 At the same time turkey prices at the grocery store are going up, there are more wild turkeys than ever. Considering we have both an economic crisis that's leaving millions of people unemployed, millions more families in need of food assistance and a dangerous overpopulation of delicious game species, one would think we could kill three birds with one stone. 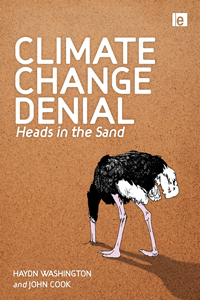 Jay Rosen on News Corp's "Culture of Denial"
For example: The Australian is a force for climate change denialism. But it does not know this about itself. Outsiders do know it, and they regularly point it out. The Australian reacts not by defending its actual stance on climate change but by trying to destroy those who accurately perceive it. The attempt at destruction is typically rhetorical but sometimes other methods are used, like threatening a lawsuit. The impression given is of a bully or thug. But that's really an after-effect of denial. Denial, I think, is the key to understanding the company. News Corp is not a news company at all but a global media empire that employs its newspapers - and in the United States, Fox News - as a lobbying arm and intimidation machine. The logic of holding these "press" properties is to wield influence on behalf of the (much bigger and more profitable) media business and also to satisfy Murdoch's own power urges or, in the case of Australia, his patrimonial legends. But this fact, which is fairly obvious to outside observers ... is actually concealed from the company by its own culture. This, then, is the source of the river of denial that runs through News Corp. Fox News and newspapers like The Australian are understood by most who work there as "normal" news organisations. But they are not. What makes them different is not that they have a more conservative take on the world - that's the fiction in which opponents and supporters join - but rather: news is not their first business. Wielding influence and intimidating people is. Scaring politicians into going along. Building up an atmosphere of fear and paranoia, which then admits Rupert in through the back door of 10 Downing Street. Or in the back door of the Bush-Cheney White House. Read more of Jay Rosen at PressThink or follow him on Twitter. Data from the last 30 years indicate that D.C.’s average high temperature on Thanksgiving has inched up to 53.2 degrees, with an average low of 37.3F and an overall average of 45.3 degrees. On each count, this represents an increase of about 1.6 to 1.8 degrees Fahrenheit compared to the overall averages listed above. At first glance, it might seem flawed to compare Thanksgiving temperatures from the 1981-2010 period to the historical average. Prior to 1939, Thanksgiving sometimes occurred as late as November 29 or 30, which would favor tilting the overall averages toward lower temperatures. Interestingly, however, when all outlier years are removed (i.e. the 21 years when Thanksgiving fell on dates other than the standard November 22-28 dates), the temperature averages remain identical to those in the complete 139-year record. 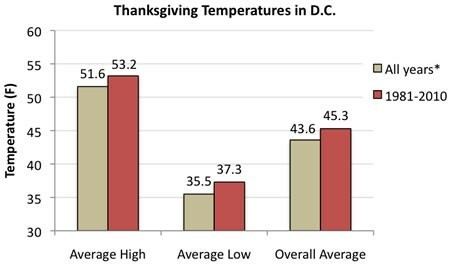 The implication is that even when we account for the later Thanksgiving dates in the past, Thanksgiving still appears to be trending slightly warmer, which is consistent with other temperature increases seen in D.C.’s new climate normals. A small increase in temperature may be barely discernible to humans ... but it's great news for pests that can increase their range with less worry about winter frosts. As a recent National Wildlife Federation report detailed, warmer winter temperatures are great news for Lyme disease-carrying deer ticks, painful fire ants, and tree-killing bark beetles. The GOP is Counting on You To Blame Gridlock on "Congress"
Republicans know how easy jokes about Congress are to make. It's even less popular than lawyers! Plus, Republicans know jokes about "Congress" go over better in mixed company - no better way to turn half a crowd against you than by pointing out that Congressional Republicans are obstructionist, am I right, Mark Warner? That's why roadblock Republicanism works so well - the GOP can create gridlock, count on the media to falsely blame "both sides", then watch anger at "Washington" & "Congress" fuel its destructive, cynical political agenda (current top item: holding America's economy hostage in hopes of defeating President Obama in 2012). A couple of years ago, a Republican committee staff director told me candidly (and proudly) what the method was to all this obstruction and disruption. Should Republicans succeed in obstructing the Senate from doing its job, it would further lower Congress’s generic favorability rating among the American people. By sabotaging the reputation of an institution of government, the party that is programmatically against government would come out the relative winner…. Undermining Americans’ belief in their own institutions of self-government remains a prime GOP electoral strategy. And look how well it's working - approval ratings for Congress sit around 12%, while Republicans are at 41% on the generic Congressional ballot. Congressional Republicans are like The Emperor in Return of the Jedi. Hatred only makes them grow stronger. Remember, Luke didn't do anything to destroy the second Death Star except keep The Emperor & Darth Vader occupied. It was the people he'd organized with who took down the shield generator & destroyed the main reactor. If Chevron took all the money it spent on greenwashing commercials and invested it renewable energy, how much progress might've been made by now? Chevron spent less than $1 billion on renewable energy in 2006 & 2007, under 4 percent of its total capital and exploratory expenditures. Meanwhile, Chevron made nearly $8 billion in profit in just the months of July, August & September this year. Meanwhile, Chevron has spent more than $50 million on lobbying in recent years to fight a clean energy & climate bill, attempt to gut the Clean Air Act, and strip laws that protect communities from the dangers of fracking. Chevron also created one of the worst environmental catastrophes in history, dumping 18.5 billion gallons of toxic waste in Amazon rainforest streams. And Chevron is responsible for a new oil disaster off Brazil. "What is this?" the young Safeway cashier asked me as he pulled an item off the conveyor belt, held it up to eye level, and examined it carefully. "It's an organic red pepper," I said. 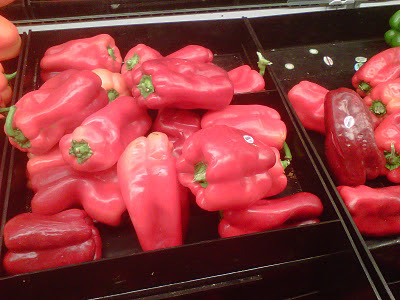 "The regular red peppers looked like frankenfood." "I know, those things are huge!" he replied. 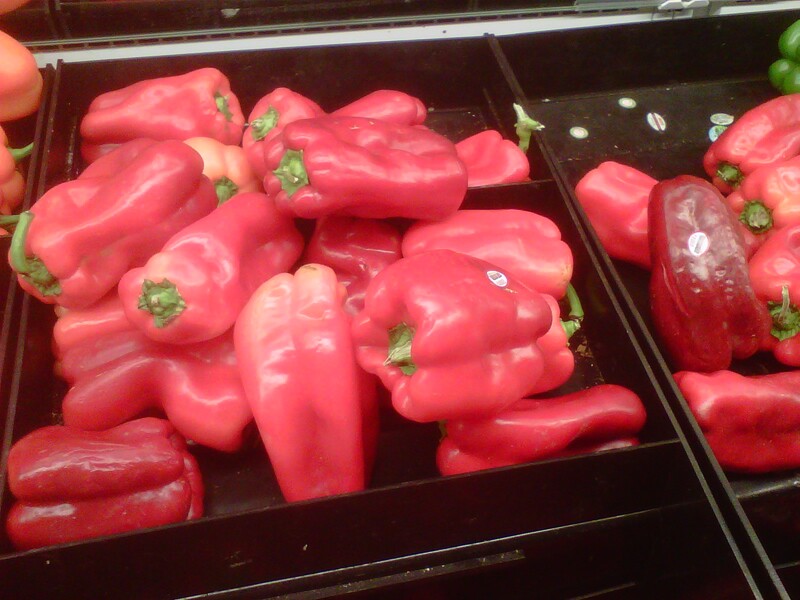 "I was just surprised to see a normal-looking red pepper." Reviving the controversial Outer Beltway through historic landscapes at Manassas Battlefield -- the first ten miles of which could cost $250 million to $475 million -- instead of focusing on fixing existing commuter routes in Northern Virginia. Shifting $200 million in statewide money to a bypass in Charlottesville that won't fix major local traffic problems. 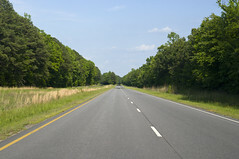 Giving $750 million of our tax dollars to subsidize a private toll road (Route 460) through empty farmland southeast of Richmond. Meanwhile, when asked to help fund critical Tysons Corner transportation needs, the Examiner reports that "Virginia's Transportation Secretary Sean Connaughton warned Fairfax to look elsewhere for cash." It's not surprising Bob McDonnell's pandering to developers - he's gotten more than $5 million in campaign cash from developers, real estate & construction, by a wide margin his biggest source of private sector contributions. The Coalition for Smarter Growth has a 10-step transportation agenda for Northern Virginia - really radical stuff, like "Bring our local elected officials back to the table in transportation decision making." Tell Gov. McDonnell to put our transportation dollars towards real solutions. I have to say ... The Green Miles was a little disappointed in this video. I mean, no one loves the Washington Nationals' green diamond more than me ... but this video could've been made the day the park opened four seasons ago. The Nats have seriously upgraded their team since 2008 - why not their green efforts as well? When Nationals Park opened in 2008, it was the first U.S. Green Building Council Leadership in Energy and Environmental Design (LEED)-certified ballpark in Major League Baseball, achieving the "silver" standard. But since then, the Minnesota Twins have opened Target Field, also LEED silver-certified (and a much better place to watch a game, arguably the best in baseball). And the Pittsburgh Penguins opened a LEED gold-certified arena. And all of those stadiums have been passed by a college facility. The University of Florida's Heavener Football Complex is LEED platinum-certified, the highest possible rating. So how can the Nats get back on top? Renewable energy. If the Boston Red Sox can put solar panels on Fenway Park, there's no reason why the Nats can't have some as well. Even the Washington Redskins, whose owner is no friend of the environment and who manage to screw up almost everything else, have installed a sizable solar array at FedEx Field. Put the players out front. Nationals pitcher Collin Balester is part of Players for the Planet, speaking out on the need for recycling & climate action. Why not include him in these clips along with the front office staff? Tear down the awful parking garages. Not only are they eyesores that block views of the Capitol, not only do they sit empty most of the time, but they encourage driving to a park that's next to one Metro stop and a 15 minute walk from several others. Imagine how much revenue the Nats could recapture from The Bullpen across the street by turning the garage space into an inviting area to eat, drink, shop and socialize. Yes, I know DC paid tens of millions of dollars to build the garages. But letting the mistake stand won't get that money back. Stop selling ads on everything to polluters. It's not quite in the same league as Pittsburgh's "green" arena selling its naming rights to a polluting coal company. But the Exxon Mobil-sponsored left field wall billboard, Exxon Mobil-sponsored 7th inning stretch, Exxon Mobil-sponsored organic cotton hat, and Exxon Mobil-sponsored stadium replica really distract from the Nats' efforts to show they care about the environment & public health. Finally, how's this for a headline: Nationals Sign Local Environmental Blogger as Left-Handed Reliever! Think about it, Mike Rizzo. You know what bugs me most about bee stereotypes? How people treat honey bees (calm, rarely sting) and wasps (often aggressive, can sting repeatedly) the same way. People screaming and swatting wildly at honey bees is like trying to chase away a skunk - if you're in any trouble, it's because you went looking for it. The simple rule of thumb - if it's got little hairs on it, it's probably friendly (and helping pollinate your neighborhood's flowers & region's crops). Bees are hairy, wasps aren't. Wikipedia has a handy chart to help tell them apart. Honey bee behavior makes them unlikely to sting you. When they leave the hive they fly up and then out to wherever they are collecting nectar and pollen, meaning that even near a hive (except in front of it), you are not likely to run into them. Second, they sting only if provoked into it, as they can sting only once, which rips the stinger off their abdomen and they die. So, they don't sting unless necessary because of the big down side. On the other hand, wasps and hornets can and do sting multiple times, and they hurt more! Also, usually you know where bee hives are, but hornet and wasp nests you don't usually see until too late, and they really like nesting on porches. The State Department announced today that it's delaying a decision on TransCanada's proposed Keystone XL tar sands pipeline pending further study of its route and impacts. It's a major victory for the coalition of hundreds of thousands of climate activists, wildlife lovers and landowners and from Montana to Texas to DC who've asked the Obama administration to do the right thing. Thank you, President Obama! This morning, Virginia Democrats do not hold a single Virginia executive office, they're a small minority in the House of Delegates, and now they have (barring recount) lost control of the State Senate. Former Arlington County Democratic Committee Chair Peter Rousselot has written a devastating postmortem at Blue Virginia that I can't recommend enough and encourage you to read in full. As for me, what I'll remember most about the 2011 election cycle is this ad from House Minority Leader Ward Armstrong trashing everything Democrats believe in. The leader of House Democrats - as chosen by his fellow House Democrats - distances himself from President Obama, a woman's right to choose, reasonable gun safety regulations, and limits on air pollution - all in one ad. I understand the need to emphasize different issues and rely on different messaging in different parts of the state. But if you try to run away from the leader of your party and everything your party believes in, not only are you hurting your own team, voters don't buy it. That's right - Ward Armstrong lost anyway. Just as former Rep. Glenn Nye did last year, Armstrong managed to not just lose, but hurt the party he was supposed to be leading in the process, making Democrats look like a bunch of gutless phonies who'd throw a friend under the bus in a second if a consultant told them it might help their chances of getting re-elected. Rep. Elijah Cummings, the top Democrat on the panel, blasted Cuccinelli in a letter Tuesday for not including in his testimony citations that explain where he got his figures. 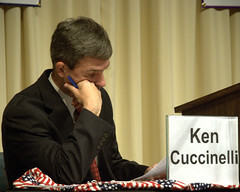 Cummings called on Cuccinelli to correct his testimony if he is unable to back up his figures with reputable studies. Cuccinelli has only himself to blame for the heightened scrutiny of his testimony, admitting to Rep. Gerry Connolly (D-VA) that he's never bothered to study the economic impacts of the Clean Air Act. Given Cuccinelli's history of quoting the discredited "studies" of Edward Wegman, it will be extremely interesting to see where he got his information in this case. Will Virginia Uranium Succeed in Buying the Virginia Senate Today? Massive risk for millions of Virginians while huge profits concentrate in the hands of a few - that's what would happen if the Virginia General Assembly cast aside Virginia's moratorium on inherently risky uranium mining. Virginia Uranium has been lobbying for years on the issue, hiring several firms to promote its cause, including well-known McGuire Woods LLP. The latest disclosure report shows Virginia Uranium spent more than $50,000 on lobbying efforts between May 2009 and April 2010. In late September, the company took interested residents and lawmakers to a mine in Canada to show how uranium mining can be done safely. Earlier this year, Virginia Uranium also took a group to France to see a former mine site, in an effort to show how the process can occur in a climate like Virginia's. The move proved controversial, with critics saying the company wanted to buy lawmaker votes with trips to Europe (Greenwire, July 7). The company sponsored a similar trip in 2010, paying roughly $9,000 for at least three lawmakers to attend, according to Virginia Public Access Project records. To learn more about why the Virginia General Assembly and Gov. Bob McDonnell should fight to protect Virginia's ban on uranium mining, visit KeepTheBan.org. Arlington’s Urban Forestry Division encourages residents to apply for the plate. It should become available if 450 pre-paid applications are received and the General Assembly approves it next year. 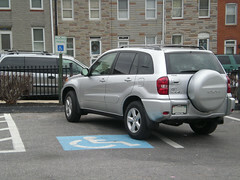 It will then be submitted to the Virginia Department of Motor Vehicles. If the idea is accepted, the specialty plate will carry an additional yearly cost of $25. The revenue sharing plates allow Virginia Loves Trees to collect funds from each additional plate sold or renewed after the first 1,000 are issued. $15 from each sale will go toward urban forestry programs. You can apply at VALovesTrees.org and get updates on Twitter by following @VALovesTrees. Gee, you don't think the U.S. News Debate Club has left itself open to accusations bias on the topic of Arctic drilling, do you? Note that I had to close the full-screen Shell Oil pop-up ad just to take the screen shot of the U.S. News Debate Club sponsored by Shell Oil featuring additional sidebar ads for Shell Oil. When you talk to journalists about this stuff, they get REALLY defensive. Of course I don't let the sponsors who support my salary influence my coverage! But a referee would tell you home crowds don't influence calls, either - and studies show they do. Let's say you had an overweight coworker. One who repeatedly professed to be desperate to lose lots of weight. But you walked into the break room day after day to find him chowing down on Outback Steakhouse Aussie Cheese Fries with Ranch Dressing. Finally, you decide you have to say something. "Hey, Sam. If you really want to lose weight, why don't you ease off on the cheese fries?" "What, you expect me to lose 100 pounds today?" your coworker scoffs between greasy bites. "It's going to take years to lose all that - I can't possibly stop eating right now." [Third Way's Josh] Freed says you can't just pull the bottle out of the baby's mouth. "Because the baby still needs to eat, and right now virtually every car and most of the trucking fleet in the United States relies on either gasoline or diesel fuel, and you can't switch over in one year or five years or 10 years," he says. "It's going to take a long time." America: A helpless baby suckling at Big Oil's teat. Somehow I don't see that becoming the new slogan for TransCanada, the company behind the proposed Keystone XL tar sands pipeline. Ever since the perceived successes of Bill Clinton's triangulation and the ascendency of the New Dems, the road to acceptance on the left has been paved with hippie punching. To be legit, one must signal to one's peers that one is not like those liberals, the old-fashioned, soft-headed, bleeding-hearted, slogan-shouting kind. One is a Pragmatist, not a Partisan, a traveler on the Third Way, not on the old, boring Left Way, a hard-headed, practical sort, not some kind of dippy dreamer. This pose is incredibly attractive to people whom I've called (clumsily, I grant you) "characterological centrists" -- folks who want to be, and be seen as, free-thinking and reasonable. What better way to demonstrate one's transcendence of mere partisanship than by rejecting the partisans with which one is most naturally associated? Forget cold turkey. Aside from President Obama's moderate strengthening of fuel economy standards, what are we doing to even reduce our incredibly costly oil addiction? America's oil trade deficit was $265 billion in 2010, meaning we sent a net of $2,400 for each American household to other countries to buy their oil. And that doesn't event begin to consider the hundreds of billions we spend on the military to protect oil interests, the cost of oil disasters, or the cost of air pollution. How many people go around complaining about how we're burdening our children with the national debt without talking about how little we're doing to ease our oil addictions and the trillions in long-term cost that go along with it? A sensible first step to reducing our oil addiction would be to stop putting new needles in our veins. I hope you'll join me & thousands of other Americans at the White House on Sunday November 6th at 2pm to ask President Obama to reject the proposed Keystone XL tar sands pipeline. New Movie to Poochify "The Lorax," Rid Story of Downer Moral Lessons? Remember that Easter Bunny from the Illumination Entertainment movie Hop that crapped jelly beans? If that bunny ate a copy of the book The Lorax, Illumination Entertainment's new film based on adapted from vaguely inspired by the Dr. Seuss classic might be what would come out the other end. Grist's David Roberts reviews The Lorax trailer, predicting "movie to insult all that is good, holy." The new story seems to make the destruction of the area's ecosystem less of a devastating man-made catastrophe of choice and more of a minor inconvenience that can be exploited to score with treehugging babes. As for The Lorax himself, he seems to be Poochified - less wise than wise-cracking, a punchline also ready to punch out anyone who disagrees with him. 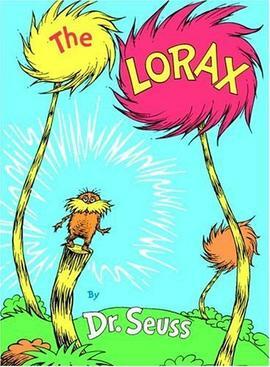 Considering you can buy the book for less than the price of a movie ticket, seems like you should skip the film and re-read The Lorax instead. And if you really want to embrace the book's moral - "Unless someone like you cares a whole awful lot, nothing is going to get better. It's not." - RSVP for the Tar Sands Action at the White House on Sunday. UPDATE 2/23: It just keeps getting worse - as Mother Jones' Kate Sheppard reports, the Lorax is now a spokesman for an SUV. The League of Conservation Voters came out with a new ad last week pointing out that since Sen. Scott Brown (D-MA) arrived in Washington, Sen. Brown seems a lot more concerned with making his new polluter lobbyist friends happy than protecting wildlife and public health. Sen. Brown's re-election campaign responded in part, "The LCV Includes Non-Environmental Votes Taken By Senator Brown, Including His Support For A Border Fence". Look, if you want to argue a border fence is necessary from a national security perspective, that's fine. You have to explain why it's worth spending $4 million per mile for a fence that can be easily scaled in less than 20 seconds by young women, and maybe deal with the Herman Cain let's kill the Mexicans perspective, but the root concern around national security is valid. Many imperiled species depend upon borderland habitat for their continued existence. In Arizona alone, the Border Patrol estimates that 39 species protected or proposed to be protected under the Endangered Species Act are already being affected by its operations. Much of this country’s most spectacular wildlife, including jaguars, ocelots, wolves, and hundreds of bird species depend upon protected public lands along the border for migration corridors between countries. If Scott Brown is trying to refute the League of Conservation Voters' charge that he doesn't care about conservation issues, showing complete ignorance of the conservation issues surrounding a border fence probably isn't the best way to do it. This League of Conservation Voters ad is brilliant because I don't think Sen. Scott Brown came to Washington planning to vote against conservation every single time ... but well, it just makes life so much easier to be able to ask the polluting billionaire Koch brothers to write you huge checks, you know? And when you vote against the public health protections, all the lobbyists are so much friendlier! You get taken to lunch at The Palm all the time. So will Sen. Brown vote to continue multi-billion-dollar handouts to Big Oil? Tell him to take a stand for Massachusetts for once. That way when he loses to Elizabeth Warren, at least he can't say you didn't warn him. BBC: "The Disappearing Island in the Chesapeake Bay"
Learn in the National Wildlife Federation's 2008 report on the Chesapeake Bay & sea level rise. The 1% Would Like You To Know It Disdains Your "Car-Free Day"
In fairness, I should mention that I own three cars. One also provides me with a major source of social fun because I belong to a car club that requires you must own that make of car to belong. Some of my favorite things to do are to take a Sunday early-morning drive in the country or to participate in rallies or social events with like-minded people. It would be difficult for me to imagine a bus- or Metro-owners club. Oh, do you not own three cars? How unfortunate for you. And why would you choose a form of transportation that does not facilitate lunch at the country club with like-minded people? I mean, the Kennedy Center grows weary after a time, don't you find? Yeah, sure, saves tons of energy, learns what you temperature you like it & automatically adjusts, yadda yadda yadda. But wait ... being able to turn the heat up on a cold winter night from your smartphone without having to get up from under your blanket?? That's change I can believe in! New York City doesn’t have this problem, but Washington, DC and some other American cities really do seem to me to be plagued with excessive useless parkland. If you had a park featuring a playground no kids were ever on, or a basketball court that was never in use, people would be asking “what went wrong here?” That’s not to say that every park should have a playground. But every park should be used for something. If there’s not going to be any regular programming on your patch of publicly owned land, it makes more sense to sell it and let people put up buildings. Do an unusually wide sidewalk to make room for some extra trees and benches if you need extra trees and benches. That’s not to say we should pave all the parks. But we should be thinking of something to actually do with them. Cities are full of people, and most of the country doesn’t have Southern California weather. There’s limited practical demand for just sitting around outside. What are DC's downtown public parks set up to do? What's the optimal set-up for a downtown public park? I worked across the street from DC's Franklin Park for a year and while it was nice to look out at the trees in the summer, I never went there for a coffee break or to eat lunch. It just wasn't designed for that. As of 2009 the square is almost entirely occupied by a privately-owned and -managed but publicly-accessible park, Norman B. Leventhal Park, named for the Boston building manager and designer who designed it. It sits above a parking garage, named "The Garage at Post Office Square." The garage lies 80 ft (24 m) below the surface, the deepest point of excavation in the city. Revenues from parking fund the maintenance of the park. The 1.7-acre (6,900 m²) park is a popular lunchtime destination for area workers. It features a cafe, fountains, and a pergola around a central lawn, and the management provides seat cushions for visitors during the summer. Designed by landscape architects The Halvorson Company, the park is also home to "125 species of plants." "There’s limited practical demand for just sitting around outside"? I couldn't even find a place to sit down to get on my laptop. Whereas DC's K Street corridor parks have trees plopped in the middle, leaving the open areas filled with muddy, uneven grass struggling to grow, Post Office Square's trees line the edges of an inviting field. Wide paths are lined by wooden benches shaded by vines, cooling them on hot summer days. And the cafe tables were stunning - an outdoor table to sit & eat your lunch? Is there a public park space with tables anywhere in DC? I can't think of one (if you can, please post in comments). So while I agree with Matt that DC's park space is underutilized, I'd like to see them at least make an attempt to meet users' needs before giving up & selling them off. And if the cost of that is letting a developer put a building on half of Franklin Park or build a garage under McPherson Square, let's do it. You don't need to have a Ph.D. to talk about why we need clean air and climate action. You don't need to have a mastery of facts & figures. In fact, you're your own target audience. You need to be able to talk about it in a way that people who don't know facts & figures either can understand. Don't worry about framing the issue or dazzling with statistics - tell a story. Sen. Sheldon Whitehouse (D-RI) had the quote of the year back in January, summing up the fight against polluter-funded GOP attacks on the Clean Air Act: "There is a case to be made that, in the contest between corporate profits and children's lungs, someone should be standing up for children's lungs." If you don't have time to watch the clip, check out the full transcript at ClimateProgress.org.